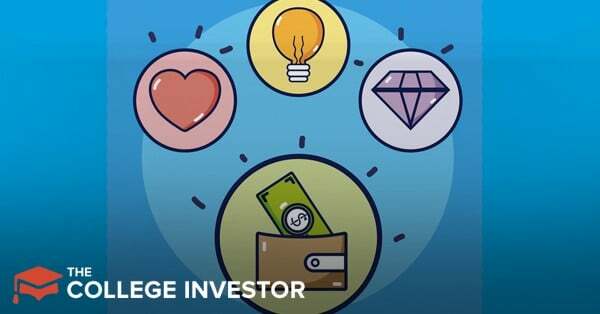 Home » Evati Review: Does This Service Make Investing Easy? Building wealth for the sake of having a big number on a screen is an exercise in futility — you’ll never be satisfied. But when you invest to achieve specific goals, you’re much more likely to use money in a way that makes you happy (and makes the world a better place). Since it’s such a common saying, you would think that every investment platform would make it easy to invest for your goals. Unfortunately, unless your goal is retiring at age 65 or sending your child to college in a decade, most platforms aren’t for you. And it’s that gap that Evati is trying to fill. Is your goal to go on vacation next year, or to save up for a down payment in three years? Do you need a new car in five years? Evati’s portfolios are designed to help people save and invest towards their short-term goals. Does the platform make sense for you? You can see how the compare to our best investing apps as well. Does Evati Make Sense for You? Evati is an investing app designed to help people meet short-term goals. As a result, its portfolios are tailored to shorter time horizons. That means you’ll be heavier on bonds and other low-volatility assets in most of your portfolios. In addition to investing your money, Evati works as a savings app. You can set up automatic transfers so you guarantee that you’ll meet your goal. For example, you can transfer $50 every paycheck so that you can have enough money for your annual vacation. The app also invites people to transfer money to their goal on a one-off basis. If you skip going to the bar after work, you can transfer $20 towards your portfolio to reward yourself. The transfers are instantaneous. Evati also has a goal-tracking feature. This shows you how close you are towards meeting your goal. If you want $10,000 for your car in five years, and you have $3,200 invested, Evati will show you that you’re 32% of the way to your goal. This may not seem important, but goal tracking is a great way to stay motivated. All the accounts in Evati are traditional brokerage accounts, so they do not have any tax advantages. Evati costs $1 per month for all portfolios under $5,000 or 0.25% per year for all portfolios $5,000 or more. The pricing gives you access to as many goals as you want. If you don't have much invested, that pricing can really be expensive. If you only have $100 in Evati, that $12/year fee is 12% of your money. If you want Evati to make sense, you need to add serious money to the platform. Even then, it could make sense to look at other alternatives, such as these free places to invest. Investing in stocks, bonds, and other financial assets is risky. You could lose money on the investment. Of course, in the long run, stocks (and sometimes bonds) will outperform almost all other asset classes. But Evati is all about helping people achieve short-term goals. By putting your short-term goal in money in long-term assets, you run the risk of bad market performance forcing you to delay your goal. Were you hoping to buy a house in five years? If your down payment portfolio declines by 30% 4 years and 11 months from now, you’ll have to put off buying a house until the market recovers. Personally, I do not invest any money that I expect to need in the next three years. That means you won’t see my fund for my house down payment, my emergency fund, or my vacation fund in risky assets. Check out this list of short term investments for details. However, I think it makes sense to invest money that you’ll need in the next 3 to 10 years. For those types of goals, Evati makes excellent, low-risk portfolios that are likely to outperform cash (and possibly inflation). While you could invest for those on your own, Evati’s low-cost app could make sense for you.